The rolling hills, forests, valleys, streams and rivers make for breath taking views and sites in this extraordinary region. Owning your own Holiday Home at Rosetta gives you the freedom of enjoying Scotland in all its glory whenever suits you best! 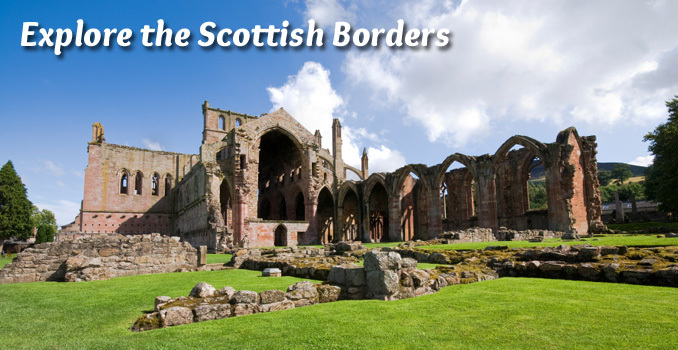 With Edinburgh just a 40 minute drive from the park there's lots to discover. Rosetta Holiday Park is a beautifully matured caravan and campsite on the outskirts of the picturesque town of Peebles in the heart of the beautiful Scottish Borders. Our park looks out over the stunning Venlaw Hills and is set across 50 acres in the grounds of a Georgian mansion and stable block which houses our popular Hayloft Bar. We have high quality holiday pitches for touring caravans, motorhomes and campers and, if you’re looking for a great value holiday home in the Scottish Borders, we also have a huge range of new and used static caravans and luxury lodges for sale at unbeatable prices. Rosetta Park is pet-friendly too, so you can bring your dogs to enjoy this wonderful part of Scotland. 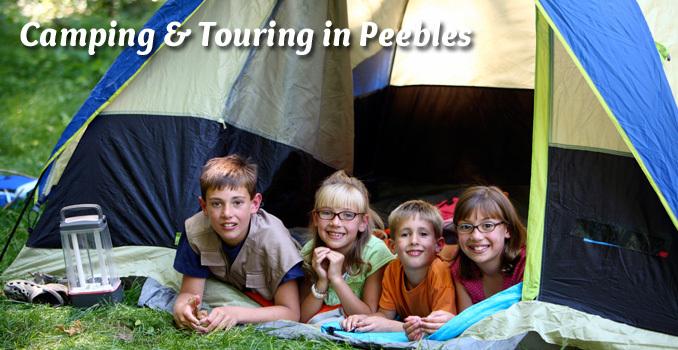 We have a wonderful setting, within walking distance of the pretty town of Peebles, close to the River Tweed and within easy reach of Glentress Forest, which is one of the top visitor attractions in the Scottish Borders and a stunning location for leisurely walks, amazing mountain bike rides – there are 50 miles of green, blue, red and black trails, plus horse riding and orienteering. Scotland’s capital Edinburgh – an amazing city with so much to see and do – is only 20 miles from the park and is easily reached by car or public transport. 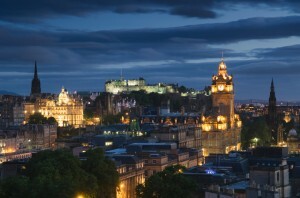 You can spend a day, or more, exploring the famous landmarks including Edinburgh Castle, Holyrood Palace and the historic sites along the Royal Mile, with time for Whiskey Tasting and creepy Ghost Tours. Of course, there is much to marvel at across the Scottish Borders and Rosetta Park is the perfect base for days out in this unspoilt region, which includes craggy coastlines and hidden coves, tranquil forests, sweeping valleys and breathtaking hilltop views. The River Tweed, which runs through the town of Peebles and is a short walk from Rosetta Park, is renowned as one of the best for salmon, wild Trout and Grayling in the UK. There are numerous angling centres who can provide expert advice, guided tours and packages to ensure a fabulous experience, or you can simply by your own permit to fish at your own pace. We have our own on-site Hayloft Bar for relaxing evenings of delicious bar food (Open at weekends from April to end of September). 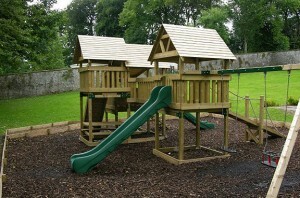 For families, there is a walled garden with a new playground that includes swings, slides and climbing frames, with bark underfoot for safe play. There’s also a communal TV room with freeview, and a small games room for entertainment throughout your stay. With a wide selection of pitches for touring caravans and motorhomes, Rosetta Park is the perfect spot for camping holidays in the Scottish Borders. We have a full range of modern amenities and so much to see on our doorstep – take a look at our touring and camping information to find out more. 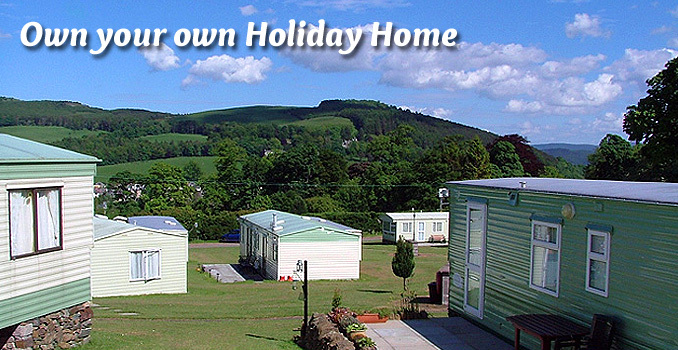 If you’re looking to buy a holiday home in the Scottish Borders take a look at Rosetta Park. We sell great quality caravan holiday homes from leading manufacturers and luxury lodges that are made to order. Visit our holiday home sales page for more details. By submitting this form, you are agreeing to receive marketing communications via email from Rosetta Holiday Park. Want to ask a quick question? Our friendly team are on hand to advise you about your holiday, complete the short form below to ask us a quick question. Tick this box to subscribe to our E-Newsletters for the latest offers, holiday ideas and Exclusive deals!